As per Uttarakhand High Court order ( Petition No. : 123/2014 ) , one can not camp on alpine and sub-alpine meadows/grasslands, locally called “Bugyal. Therefore forest department has revoked the permit to camp at the lake, i.e. Satopanth Tal. Starting from Oct 2018, our highest camp is at Chakratirtha and we visit Satopanth and return to same camp. 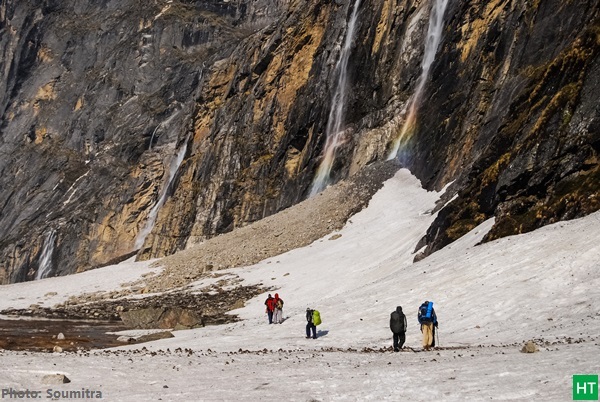 The mythical lake trek route to Satopanth Tal encompasses the flavor of high altitude feature, walking on boulder, moraine, glacier and knife edge ridge are enthralling. Captivating peak views are hard to believe. 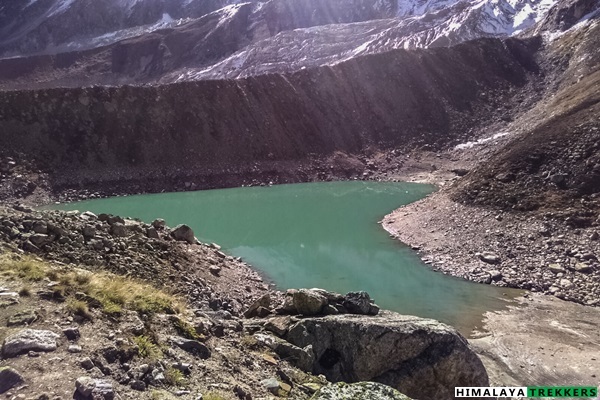 This triangular shaped glacial lake lies above 14000 ft, hidden inside the ridge believed to be the “the road to truth” (Satya Ki Pantha) . 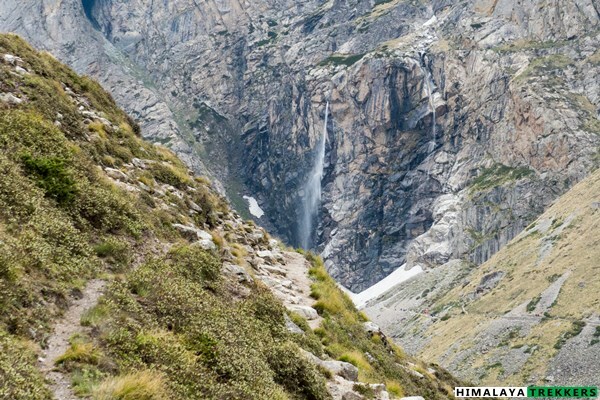 The Panch Pandavas of epic Mahabharata took this difficult trail to try to reach the heaven. At different places on the trail, the legends still live, and the names bear the resemblance of the myth. 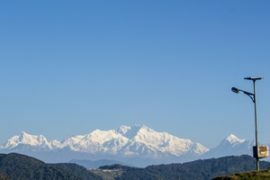 Towering Chaukhamba ridge looms over the lake along with the Neelkanth, Balakun, Parvati and other peaks. Many people believe that the Trimoortis, Brahma, Vishnu and Maheshswar, take bathe in the lake in an auspicious day. Adventurous local people and Sadhus visit this lake in the monsoon for pilgrimage. 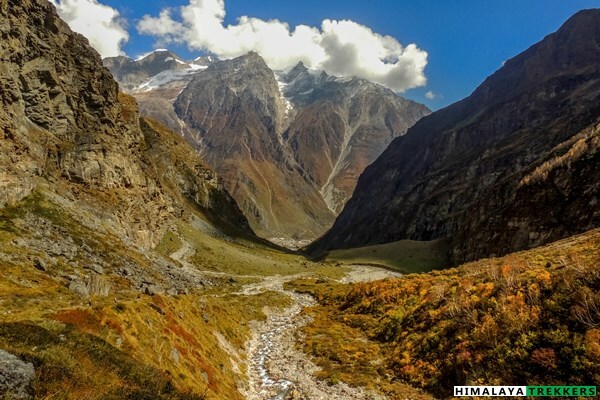 This trail is a classy example of glacier moraine walk on boulders, loose rock and scree zones to the core of the Himalayas and NOT recommended for the beginners. 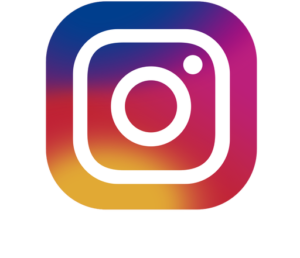 Trekkers must be having prior high altitude multi day trekking experiences. After crossing Alaknanda at Mana the trail till Laxmivan is relatively easy and like the usual trekking trails. The trail on the opposite side of the river goes to Vasudhara falls. Campsite of Laxmivan is located on a patch of grass and perhaps the campsites are the only shades of green from now on. Day 1: Drive from Haridwar to Badrinath – 310 Km – 11/12 hours. Accommodation on your own. 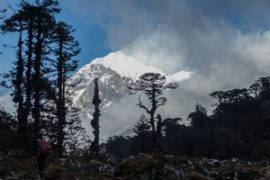 Day 5: Trek to Satopanth Tal – 5 Km – 3/4 hours – spend an hour and return to Chakratirtha – Total 10 Km – 8 hours. Day 6: Trek from Chakratirtha to Mana – 17 Km – 7/8 hours – By car Badrinath. Day 7: Drive from Badrinath to Haridwar – 310 Km – 12 hours. Accommodation on your own. *** Trekkers need to reach on their own to Haridwar on Day 1 morning (by 6 am) or the previous night. Return to Haridwar on Day 7 evening (by 8 pm). Arrange your tickets for inward journey and return from Haridwar accordingly. TREK FEE is excluding Badrinath. 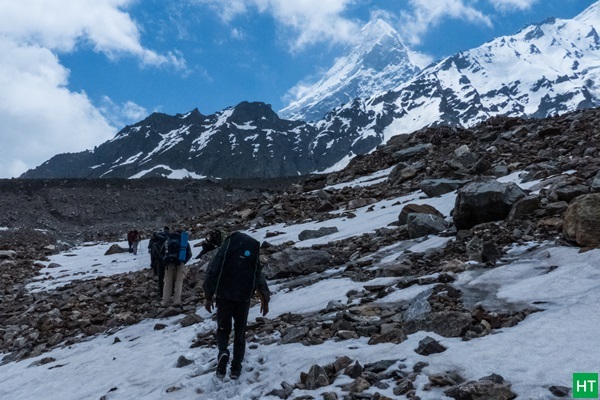 We are purely trek organisers and run this trek once or twice in a year for interested and experienced Himalayan hikers.This typical glacial moraine trail into the core of the Himalayas is indeed a delight to any trekker. At the same time 50 Km round trip from Badrinath is tricky in many aspects. It is a full camping style porter run (no horses/mules) trek and there is nowhere you get any food or shelter. 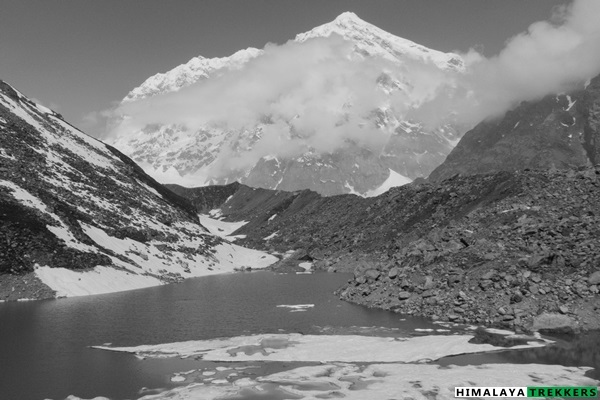 This glacier valley is typically low in oxygen and trekkers must get acclimatised once reaching Chakratirtha. If not, there is noway but to return. You need to negotiate boulder zones, moraine debris and scree zones before reaching Satopanth Tal. We often get requests from people wishing for Satopanth and Swargarohini Yatra. 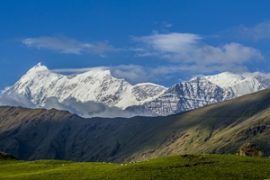 This must be taken as a high altitude Himalayan trek and the pilgrims must have prior trekking experiences like Kailash, Adi Kailash, Manimahesh, Kinnaur Kailash circuit, Srikhand Mahadev or similar, preferably all. 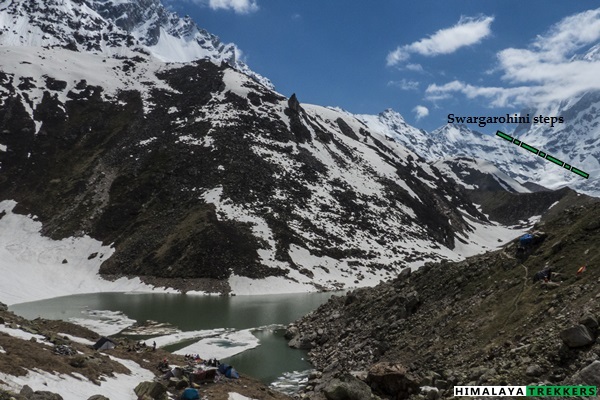 Swargarohini area is out of scope of this trek as that is a mountaineering pursuit. On a clear day one can see clearly the legendary Swargarohini steps from Satopanth Tal and its surrounding. Here is how it looks from Satopanth on a clear day. To reach the trek base Badrinath you need to reach Haridwar on your own arrangements. Haridwar is well connected by train from Delhi and Kolkata. Frequent regular and Volvo bus service from Delhi Kashmiri Gate ISBT. Based upon trekkers request we may arrange a pickup from Haridwar railway station to Badrinath and back. This will be shared equally by the availing team members on actual basis and paid directly to the driver. The fare is ₹ 8000 for a Tata Sumo/Mahindra Maxx one way. This can accommodate 5 to 6 people. A Tempo Traveller charges ₹ 12000 (12-13 seat) one way. This is NOT included in TREK FEE. You can reach Badrinath by bus which start very early morning from Haridwar, latest by 4:30/5 am. Its a long journey and may take up to 13/14 hours. To reach the trek base Badrinath independently/public transportation check the details in GETTING THERE TAB. 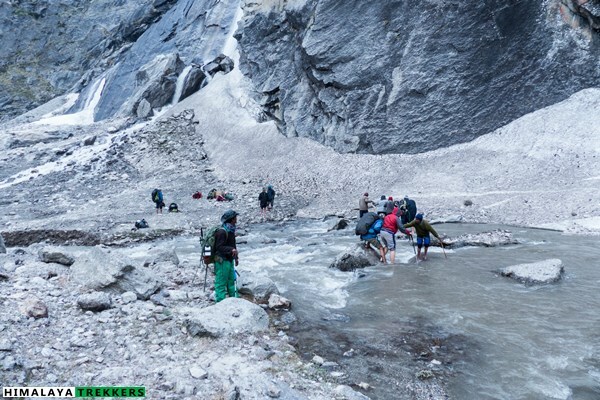 Click here to check the List of things to carry in Satopanth Tal trek or Download the PDF list. 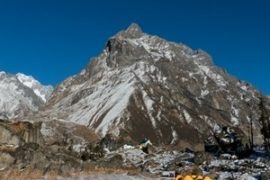 Duration: 4 days of trekking from Badrinath to Satopanth Tal and return. Haridwar to Haridwar in 7 days. Prerequisite: Prior high altitude trekking experiences are must. 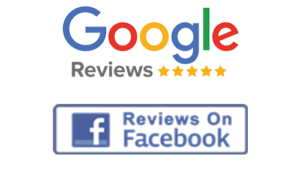 At least 2 Moderate grade treks are highly recommended. Trekkers need to reach Haridwar on Day 1 morning (latest by 6 am) or the previous night. Return to Haridwar on Day 8 evening (around 8/9 pm). Arrange your tickets for inward journey and return accordingly. Access to Badrinath (The trek base): Haridwar is well connected by train from Delhi and Kolkata. Frequent regular and Volvo bus service from Delhi Kashimiri Gate ISBT. 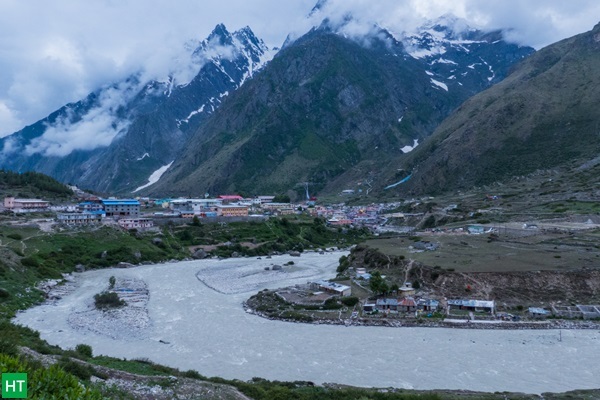 To reach the trek base Badrinath you need to reach Haridwar by your own arrangements. We will arrange a pickup from Haridwar to Badrinath and back. The cost will be shared equally by the team members and is approximately around 7000 Rs one side in a Jeep (Mahindra Maxx, Sumo). One such Jeep is comfortable for 6-8 persons. 1) Take early morning bus service from Haridwar to directly Badrinath or till Joshimath. Direct buses leave by 5 am. The state operated Bus terminus (referred as Roadways) is just opposite to the Haridwar railway station. Privately operated buses start just 2 minutes walking from here. In the summer during Char Dham Yatra, buses are packed. 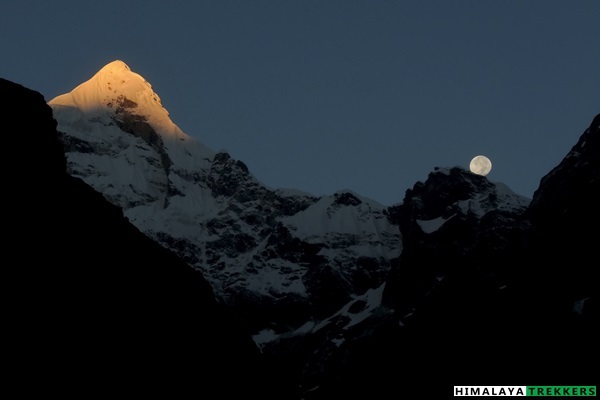 It takes 11/12 hours to reach Joshimath. Look for a shared Jeep service or book a car till Badrinath. It may take up to 14 hours. 2) From Badrinath early in the morning board the direct bus for Haridwar/Rishikesh. It will take 12 hours. From Rishikesh, it is only 25 Km journey to Haridwar by frequent bus service. You must reach Haridwar by 5 am latest or you can reach the previous evening/night. This is possibly one of the longest journeys in a day on the mountain. From the plains of Haridwar to the the holy shrine of Badrinath at 3000 m/10000 ft. The road (NH 58) follows initially the valley of River Ganga, and later for a major section beside its main tributary Alaknanda. On route we cross Rishikesh and then the confluence at Deoprayag, Rudraprayag, Karnaprayag, Nandaprayag to reach Joshimath. From here Badrinath is another 45 Km. Total distance is 310 Km and can take around 13/14 hours. Night stay at lodge/rest house. 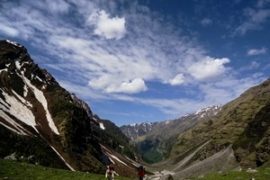 Note: Trekkers having an extra day and willing to spend on the mountain are advised to reach till Joshimath on first day. Next day after lunch you can reach Badrinath in 2/3 hours drive (by bus or reserved car). In Joshimath town you may visit Shri Shankracharya Math, Bhavishya Kedar & Narsing temple or a car trip to Auli, (14 Km, 45 mins drive) or a ride in Auli Rope way. So it is better to stretch this journey in 9 days instead 8 days as this one. After a much needed sleep today visit the Badrinath temple in the morning at your will. After lunch we will walk either to Mana Village or to Charan Paduka area for an acclimatisation walk. This is pretty much a must at Badrinath which is already a place devoid of visible tree and having an oxygen level of only 70% that of sea level. Mana village is only 3 Km away from Badrinath. This is a small settlement of Tibetan/Bhutia/Bhote people and settled here for ages. People stay here only in summer and monsoon. From fall they start their downward movement to lower areas. At Mana you will find a SBI ATM welcoming that we are at the last ATM in the Indian side. At Bhim Pul you can see Saraswati river gushing down carving the rocks and disappearing inside a cave. However you can see clearly this stream meets Alaknanda just after a while. Today morning after breakfast we start our 5 days trek to Satopanth and back. We will follow the Alaknanda river and will keep the river on our right (true right of the river). In June it is possible to cross the river at Mana as the snow bridge after Mana normally remains good and intact. In post monsoon you will cross the river at Badrinath temple bridge and turn left to take the concrete track for few kilometres. The trail is a gentle uphill following Alaknanda. Walking around 3 hours we reach a flattened ground called Chamtoli Bugyal. Myriads of tiny wildflowers bloom during summer and monsoon in this valley. Vasudhara falls is just opposite to this on the other side of river. From here it is another hour to our camping ground called Laxmivan (~ 3650 m/11650 ft). Total distance is 9 Km and may take 6 hours. Though called a “Van”(Forest in Hindi), this place is only a patch of green grass on the trail. Draupadi of Mahabharata supposed to breath her last here. From this ground the views are simply breath taking, in fact in all our next camping grounds. If you look directly north, you will notice that two glacial valleys connecting ahead. 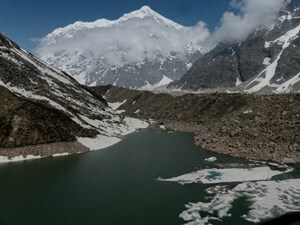 the right is the Alkapuri valley, the source of the river Alaknanda. This is also said to be the abode of Kuber, Yakshas and Gandharvas. 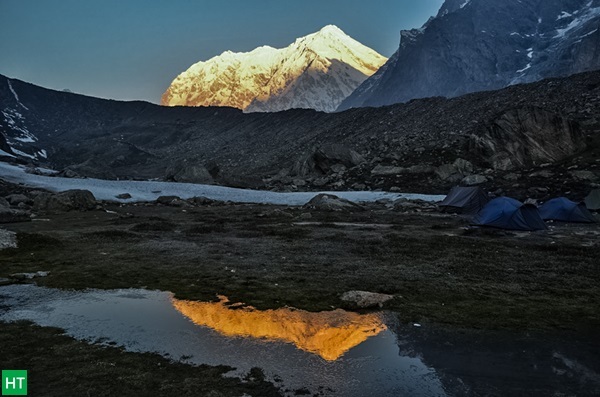 The fluted peak called Shri Parvat is at the head of the valley and is mesmerising during the sunrise from this camp. Looking back you can see the Mana peak towering above Mana area. The valley which turned right is the one towards Satopanth Tal and we will follow tomorrow. On the other side of the river you can see the much famed Vasudhara waterfalls. Tent accommodation for the night. Today we trek to Chakratirtha another 11 Km ahead towards Satopanth Tal. Initial 2 km is an easy walk till Bandhar from where the valleys bifurcate. This area has quite a few Rhododendron bushes flowering late in May. From here the terrain changes to typical glacial moraine covered with boulders and rocks. On our left locate a single standalone rock pillar named Bhim Gada. We cross the stream in a suitable place and continue to walk on the moraine ridge. After continuing for couple of hours we reach Sahastradhara, where numerous waterfalls cascading down the mountains on the left. As per legend brother twins Nakula and Sahadeva died around this place. Crossing the area we climb on moraine ridge and continue for another two hours to reach another patch of green, beautiful camping ground called Chakratirtha (~ 3950 m/12750 m). The way may take 6/7 hours. 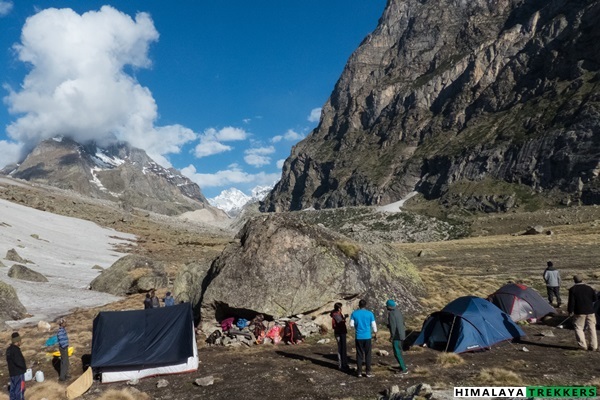 The view of Mount Neelkanth from this campsite produces a different angle and face of this iconic mountain. Lord Arjuna died at this holy place. We camp for the night. After breakfast we start our today’s trek to Satopanth Tal. Leaving behind our camping area we climb on a steep section to reach the shoulder of a ridge. From here the view unfurls and Chaukhamba massif marks the end of this valley ahead. The terrain becomes rough, full of scree, moraine and debris. We continue our climb and slowly gain altitude while crossing smaller ridges hiking up and down. Though the distance is short but the journey is tiring. Finally we climb a ridge and the turquoise lake is seen in the depression. The shape of the lake is like a “Boomerang”, two arms spreading on the opposite sides. We camp on a suitable place around the Satopanth Tal (~4400 m/14430 ft). It may take 5 hours to cover the 5 Km distance. There is a small temple of Lord Shiva and Parvati is on the left arm and a small hut is constructed on the right arm, where a Sadhu resides in summer and monsoon. 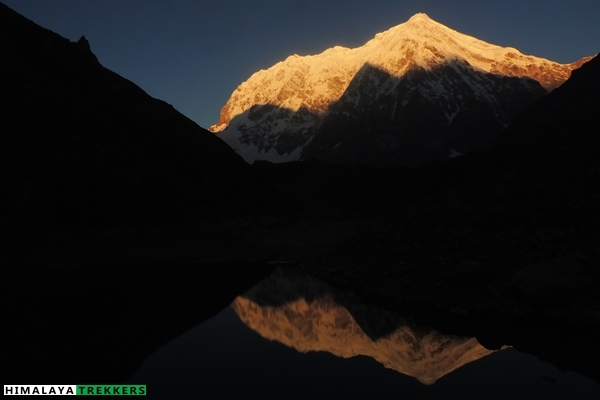 Wake up early in the morning to witness the magnificent sunrise and the reflection of Chaukhamba peak on Satopanth Tal. 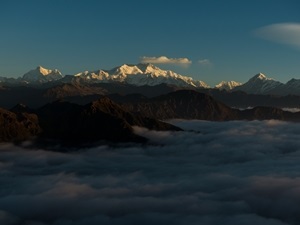 Legendary Swargarohini steps on the left side of the Chaukhamba massif is clearly visible on a clear day. Bhim couldn’t go any further and Yudhisthira continued alone to heaven following the Swargarohini. After breakfast our descent starts and we trace back our trail to Bandhar, 14 Km via Chakratirtha and Shahastradhara. The walk can take 6/7 hours. Camp for the night. We return to Badrinath via Laxmivan and Chamtoli. 11 Km distance may take 5/6 hours. Night accommodation in lodge. Today morning we start our long journey back to Haridwar. We reach Haridwar by 8/9 pm in the evening. Trip ends here. 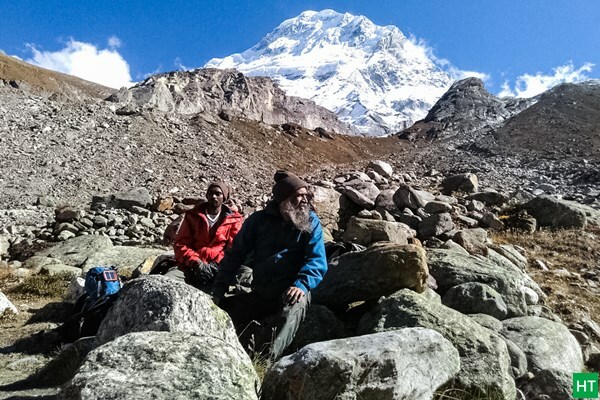 TREK FEE is Ex Badrinath including accommodation, permits, logistics and meals during the trek. All meals during the trek (Day 3 lunch to Day 6 lunch). Regular Indian style nutritious vegetarian food during the trek, breakfast packed/hot lunch (depending upon the time you reach a campsite), light snacks, dinner along with coffee/tea/soup. 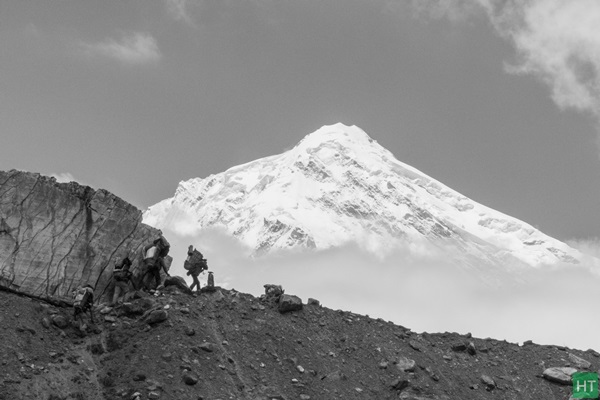 Specialised Cook, Support staffs, Porters for carrying the central logistics of the trek. Transportation from Haridwar to Badrinath and back. We can arrange the same and trekkers need to pay directly to the driver sharing equally on actual basis. Any accommodation or meal in Badrinath. There are plenty of options for vegetarian food at Badrinath along with budget and standard accommodation choices. We assume that you will carry your personal Rucksack/Backpack with all your personal belongings. If you want to offload your Rucksack and be carried by a Porter, then you need to pay additional ₹ 2500 for the entire duration of the trek. The Rucksack should not weigh more than 10 Kg.